This Vinaigrette Dressing has a sweet taste similar to typical vinegar and oil dressing (without the oil, of course). 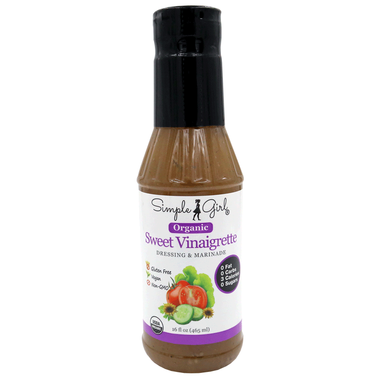 Your clients can use it as a salad dressing, meat marinade, dipping sauce, etc. These all-natural salad dressings is also approved for the HCG Protocol! Provide your clients with this HCG diet safe dressing allowed on all phases of the HCG diet. All Natural Vinaigrette Dressing Ingredients: Filtered water, cider vinegar, stevia leaf extract, salt, dehydrated onion and garlic, spices, xanthan gum, and parsley.